Turkish-German heavyweight hopeful Erkan Teper suffered a broken nose in training and that led to that Arena Box Promotion was forced to cancel the entire show in Adana, Turkey, which already had been postponed twice. 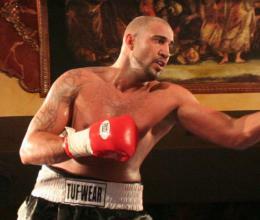 Teper was to have headlined the bill in a WBC Mediterranean title fight against Ukraine´s Alex Mazikin. Teper have had surgery on the nose and will need four weeks to recuperate.